Detective Sergeant Louisa Townsend has returned home to the Pacific Island of Tarawa in order to develop an Initial Crime Investigators Programme for the local officers. She is finding these same officers very resistant to the idea and meets obstruction at every turn. Her mother left the Island with Louisa when she was eight years old and she grew up in Edinburgh. When she returns to Tawara she finds all the responsibilities and obligations of a large extended family quite onerous. 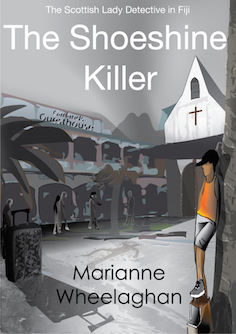 Louisa is asked to take charge of an investigation of a murder at the Ambo Lagoon Club, when all of the detectives of the Kiribati Police Service are found to be unavailable. The opportunity to act at Senior Investigating Officer is one that she has been waiting for, an opportunity to make her mark and to show off her skills. However, Louisa finds there is no forensics on Tawara and even the possibility of evidence from an autopsy seems unlikely when she discovers that there is no means of getting the body to the local hospital where the Chief Medial Officer is also the Pathologist. Her unique solution to the problem is not met with universal approval. Louisa is obsessed with cleanliness and her OCD is difficult to control on the Island where power cuts are frequent, her dislike of any food that is not packaged and therefore free of germs is not understood by her relatives to whom food sharing from communal pots is the norm and the toilet is the beach where the sand is scoured twice a day by the tide. This greatly reminds me of the recent TV series Death in Paradise. The main leads in both the TV programme and this book are very uptight and obsessive, not very good communicators and are misunderstood and misunderstand the local officers they work with. 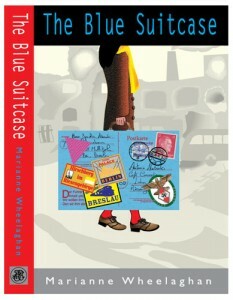 The book is well-written and I enjoyed it, though I did find it a bit predictable. In some places I felt that, as the reader, I was being asked to laugh at the local people and their customs rather than with them at the incomers who try to impose their way of life on the locals and this I found uncomfortable and rather old fashioned, but it was a minor irritation. The gentle humour of the book made me chuckle. 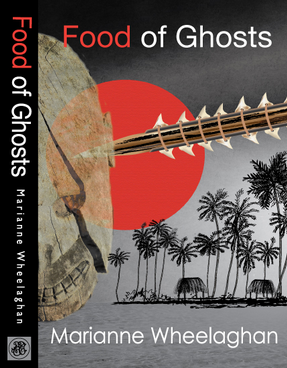 FOOD OF GHOSTS is the first in a new series of novels set on Tarawa involving Louisa Townsend. This would be ideal to read on a beach or on a journey.